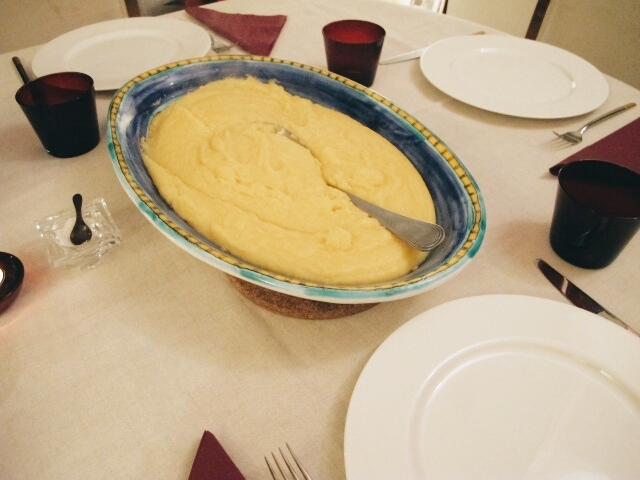 This week we are featuring a wonderfully delicious recipe from Josephine Wennerholm, partner here at Giardini di Sole and Frascati Cooking That's Amore. This dish may be exactly what is needed to get us through these last few weeks of winter. • Garlic Cloves-as many or as few as you like, remember, garlic becomes sweet after being cooked for a long time. 1. 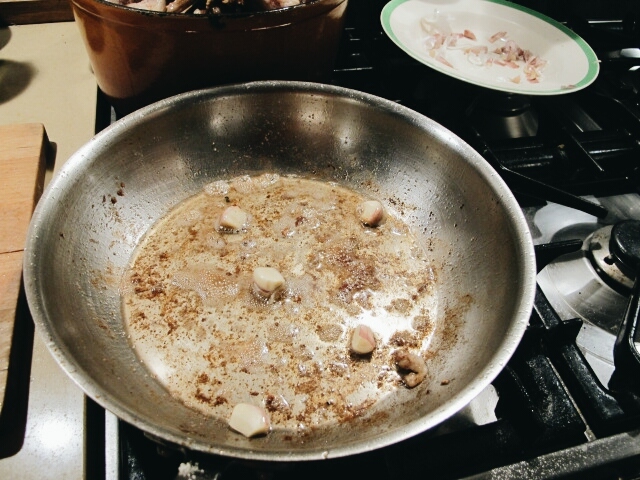 Add a tiny amount of olive oil to a skillet. 2. Sprinkle short ribs with salt & pepper and brown on each side. 3. While the first batch of ribs is browning, pour two bottles of tomato sauce into a large casserole. 4. When the short ribs have turned a nice golden color, put them directly into the casserole with the tomato sauce. 5. Add garlic directly into the skillet where the ribs had been cooking. 6. 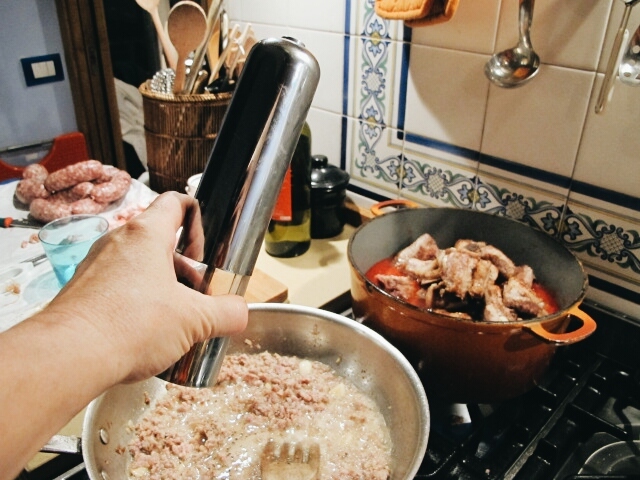 Let the garlic cooks gently until it turns golden and then add the mincemeat from the sausages. 7. 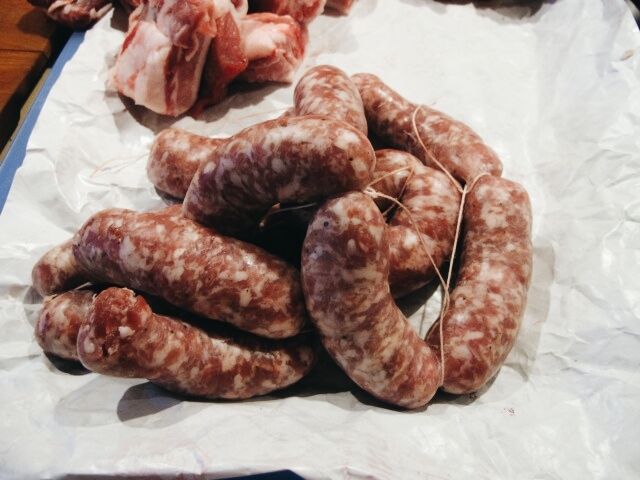 Add wine to the saucepan with the sausage, turning the heat up. 8. Add salt & pepper. 9. 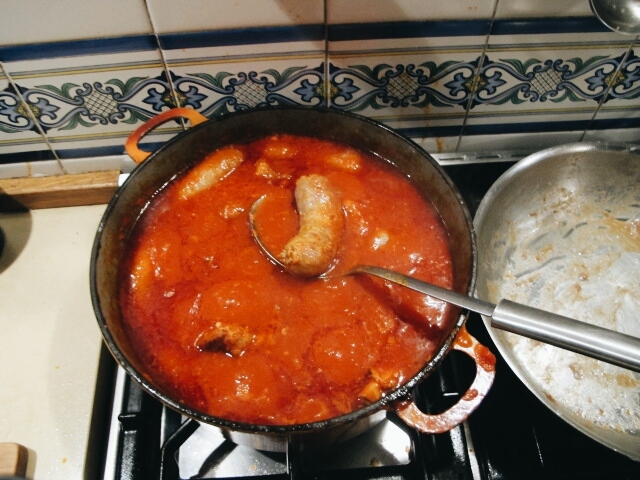 When the sausage meat is cooked through, but was still swimming in some liquid sauce, add the entire contents of the skillet to the rest of the ingredients in the casserole. 10. Cover the casserole and let stew for two hours on low heat, stirring occasionally. 12. 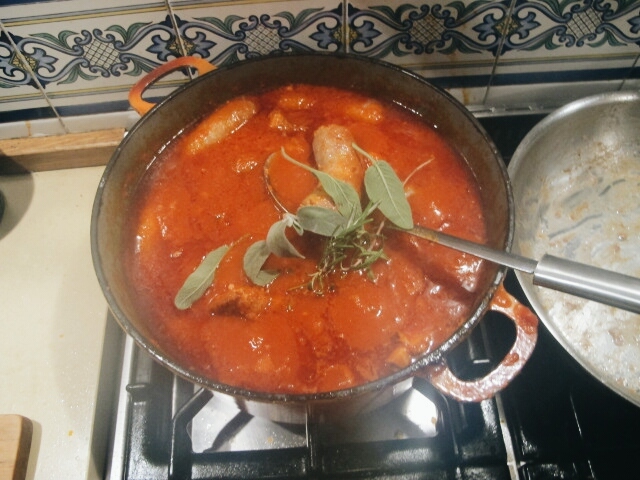 Add some fresh herbs of your choice at the very end, to add freshness to the sauce. 14. And, for those who like it, and I do, some grated Pecorino Cheese to top it all. Very satisfying on a cold winter’s night. Buon appetito!